When the clinic first opened last year, Margaret would saunter in holding Josie’s hand, pulling her along. While Margaret’s stringy hair and disheveled clothes reflected an indifference to her own appearance, Josie always looked neat. Like a treasured, well cared for doll. Her deeply wrinkled face blank but her blue eyes held a sparkle. She didn’t talk but nodded her head and smiled when spoken to. Who knew what she understood? Margaret took good care of Josie because as long as Josie lived, Margaret had a roof over her head. Some of the residents in the building complained about Margaret’s erratic behavior, but it never became such a problem that she faced eviction. “Can ye weigh Josie this mornin’?” Margaret asked. Since Margaret refused to enroll herself or Josie in our clinic, I kept a record of their visits in a manila folder in the top desk drawer. There was a sheet for each person who, like Margaret and Josie, wandered in occasionally for a weight or blood pressure check. 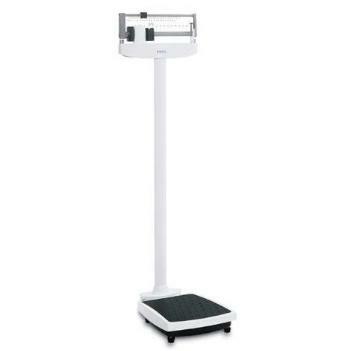 The last time Josie stood on the scale, I moved the beam until it balanced at 90 pounds. Josie began to teeter. I grabbed her arm just in time before she tipped over. “Josie was ninety-two when we weighed her last week,” I said. “Mother of God!. She’s a bag of bones. I can’t get her to gain an ounce.” Margaret shoved Josie’s shoes on and yanked her out of the chair. She pulled and picked at her with one hand as she gripped her elbow with the other. Josie’s expression remained flat. I listened to Margaret fussing at Josie as they headed toward the elevator. I didn’t mind weighing Josie although Margaret never uttered a “thank you” or “Is this a good time for us to stop in?” Since Margaret was known for mood swings and bursts of anger, laying eyes on Josie every so often gave me a chance to check for any signs of abuse. Occasionally Margaret said, “I may let you take care of me.” She hinted she had some god-awful condition. However, it became apparent she had no desire to leave the doctor she had been seeing. Frankly, I was glad not to have Margaret as a patient. And she frequently suggested she would register Josie at our clinic, too. None of this materialized. I believed Margaret collected advice from health care providers, testing one theory against another and choosing which one she favored at the moment.